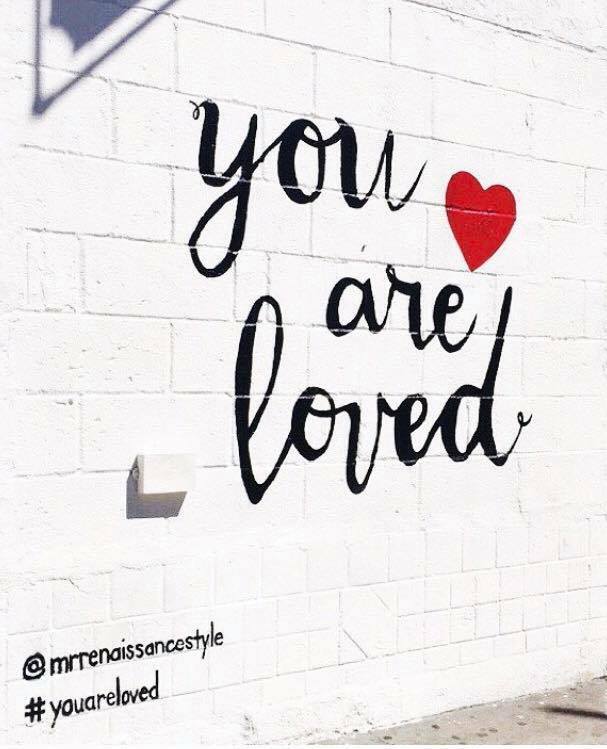 For the past 10 years, we have been heading to NYC twice a year to shop for janegee. 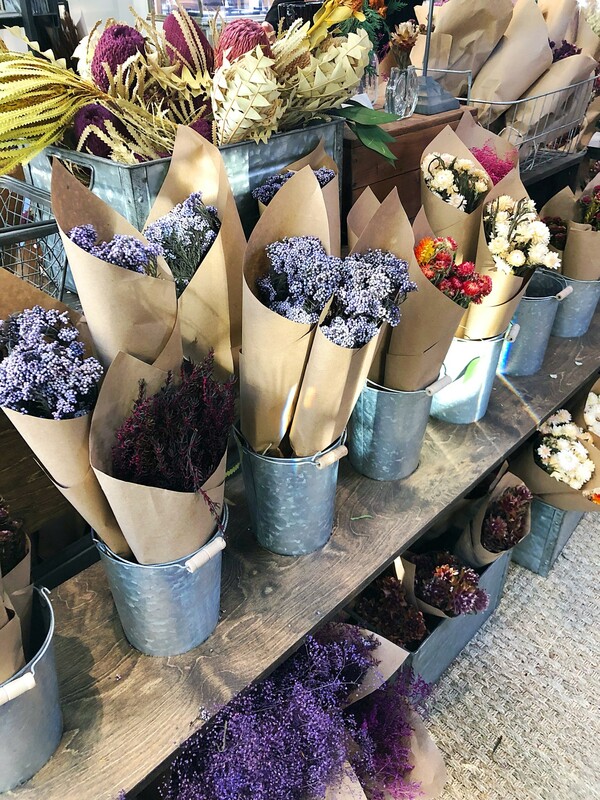 We attend trade shows and see independent vendors in the city. NY NOW, held twice a year, is the leading market for home and lifestyle products. 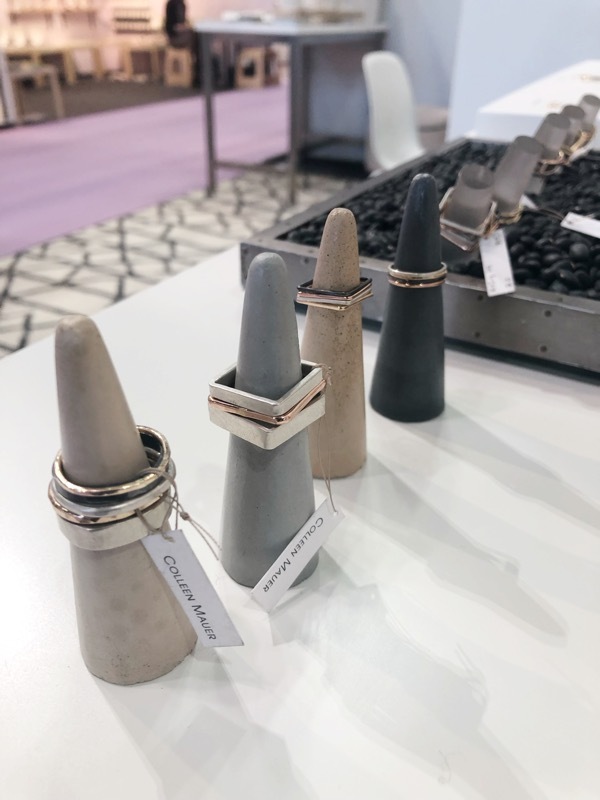 The show features three collections—home, lifestyle and handmade — that extend throughout the Javits Convention Center in New York City. This year was slightly different. 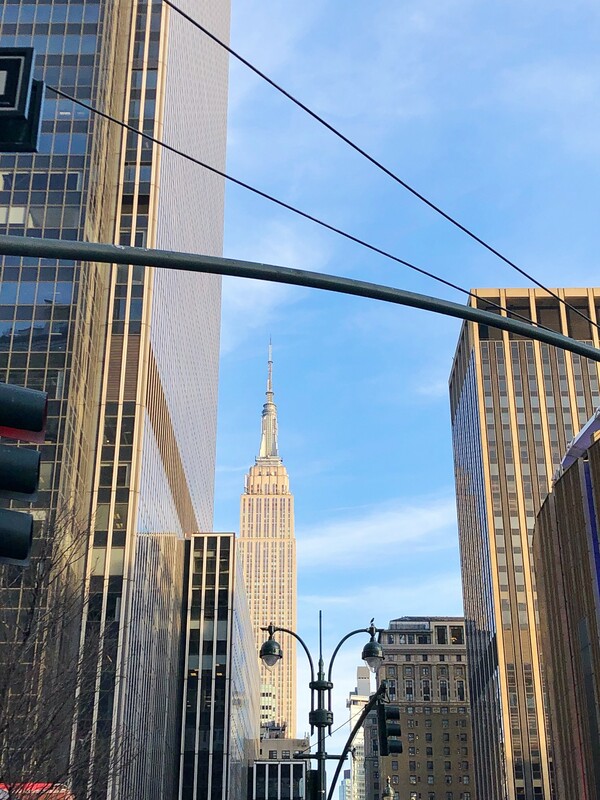 On top of NY NOW, there was also the National Stationery Show, the only stationery show in North America, and Shoppe Object, New York's semi-annual independent home and gift show. As you can imagine, this years buying trip was quite busy! 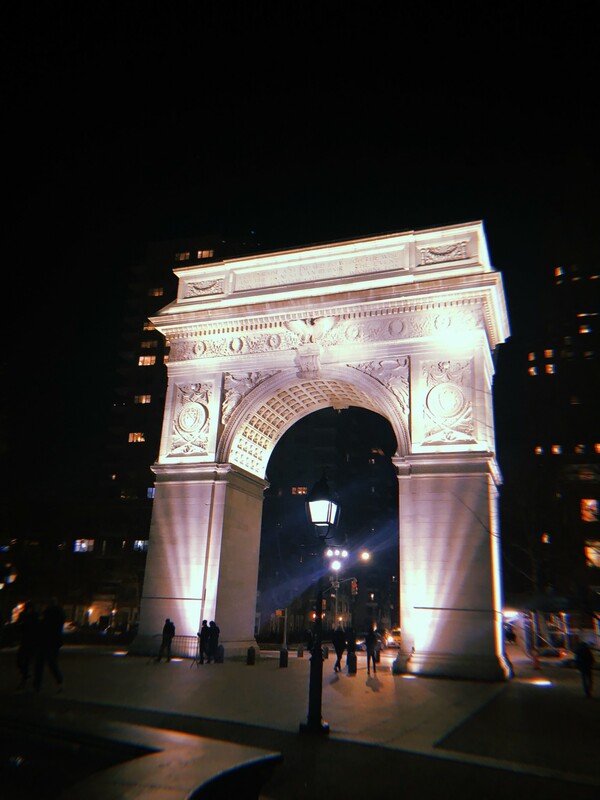 Continue reading to learn how we spent our time in NYC. We are very lucky and pleased that NYC is easy to get to from Portsmouth. You can take the C&J bus, hop on the train in Boston, or you can drive. 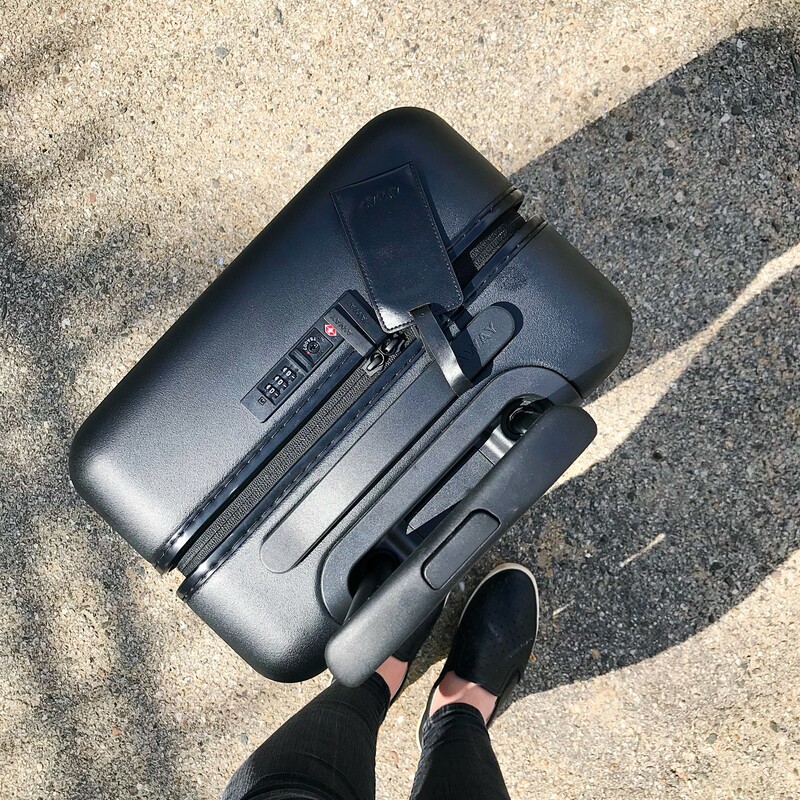 We have always found it easiest to drive to Stamford, CT, park, and take the train into Grand Central Station. On Saturday morning, we got up early, drove to Stamford, grabbed breakfast at our favorite diner, and then grabbed the train. 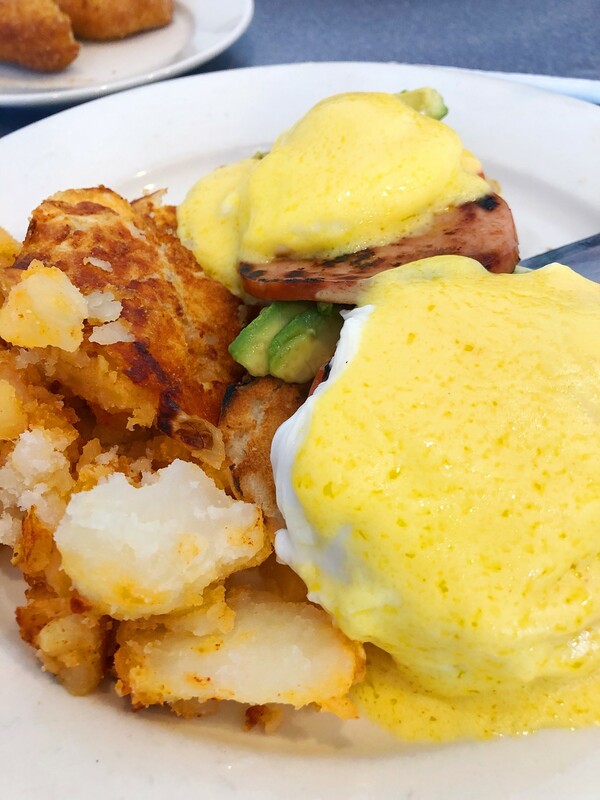 California Benedict with tomato, avocado, Canadian bacon, poached eggs, and hollandaise. Once we arrived in the city, we checked into our hotel, got settled, and headed out for the day. 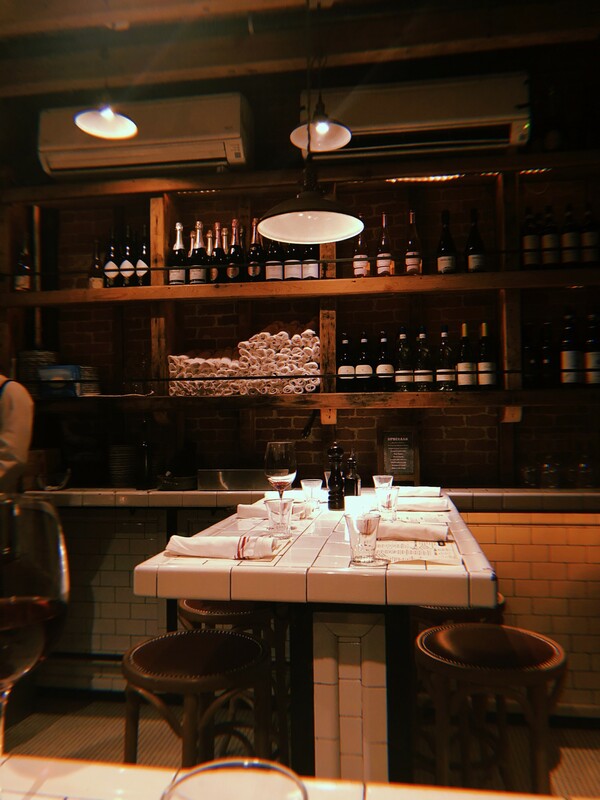 We ended the day at Seamore’s in Nolita for dinner, and to then headed to Renew Body Wellness in Greenwich Village for an hour of foot reflexology. If you’re in NYC and are looking for a foot massage we highly recommend Renew Body Wellness. On our way to our massage we walked through Washington Square Park, one of our favorite neighborhood parks in the city. Today is the day, the real fun begins! 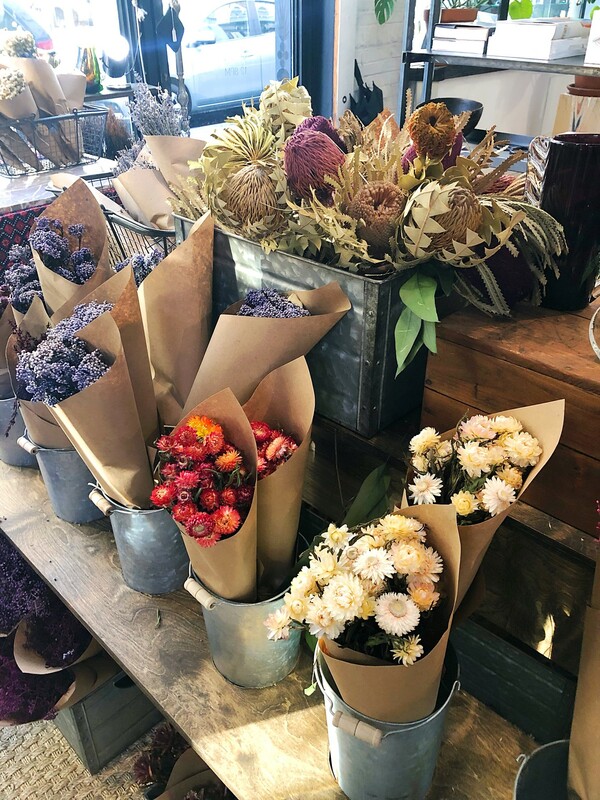 We started with breakfast at one of our favorite Aussie cafes, Bluestone Lane, which is actually expanding to Boston within the next couple of years! 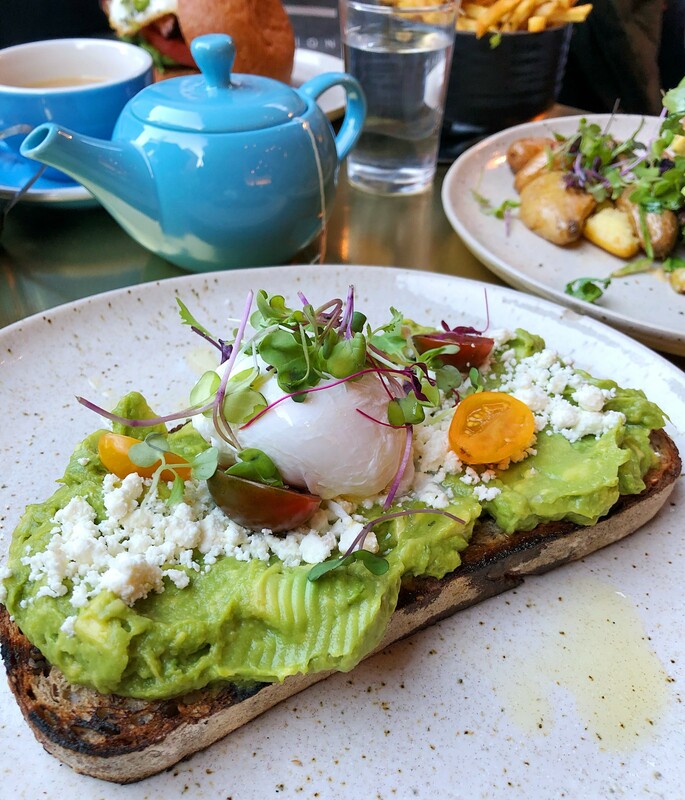 Located all throughout the city, and now even in CA, PA, NJ, and DC, Bluestone Lane is our go to for a consistently simple and fresh brekkie. After breakfast we walked down got registered for Shoppe Object. Being a newer show, without a set location, the vendors were split between 2 buildings; West 36th street and West 46th street. It takes up more time but it really was worth it. We loved the quality of the goods displayed. Once registered, we spent the next couple of hours poking around the show, checking out all the beautiful vendors and products. The following products will be arriving in store by spring! Shoppe Object was such a beautifully curated and designed show. We are excited to see what their next show has in store! 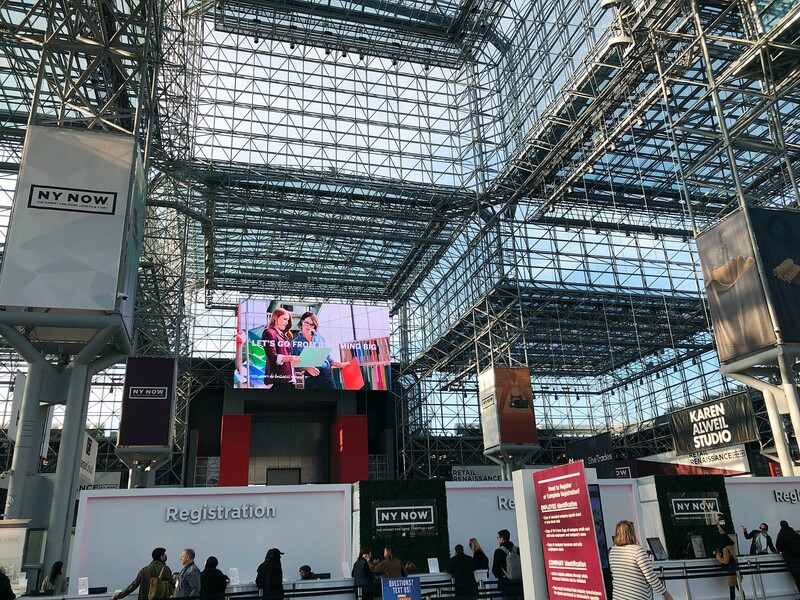 Once we finished the first show, we walked a couple blocks over to the Jacob Javits Center, which housed NY NOW and the National Stationary Show (NSS). After a busy day of walking both shows, we were excited for a relaxing dinner. 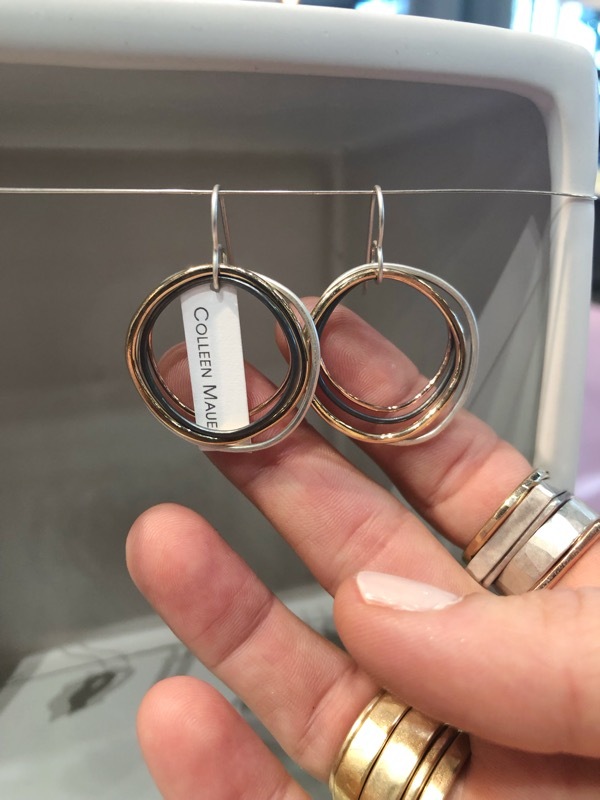 We meet our favorite jewelry designer and friend, Colleen Mauer of Colleen Mauer Designs, at Cotenna, the sweetest Italian restaurant in the West Village. 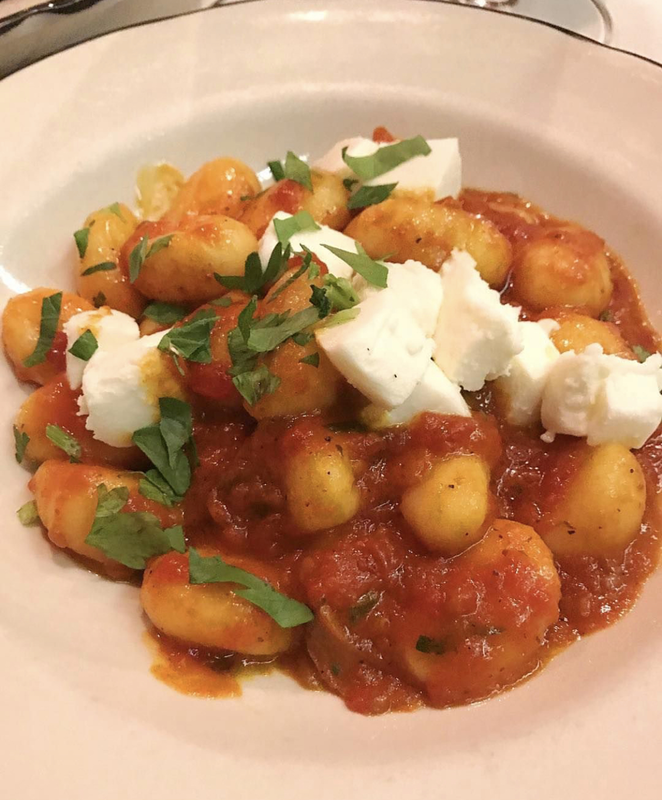 Cotenna is an Italian tapas restaurant that is known for their homemade pastas and delicious wines. Chef/ Owner Roberto Passon has opened quite the collection of italian restaurants throughout the city. Whenever we are in NYC we always end up at one of his seven sister restaurants. Briciola and Cotenna being our favorite! 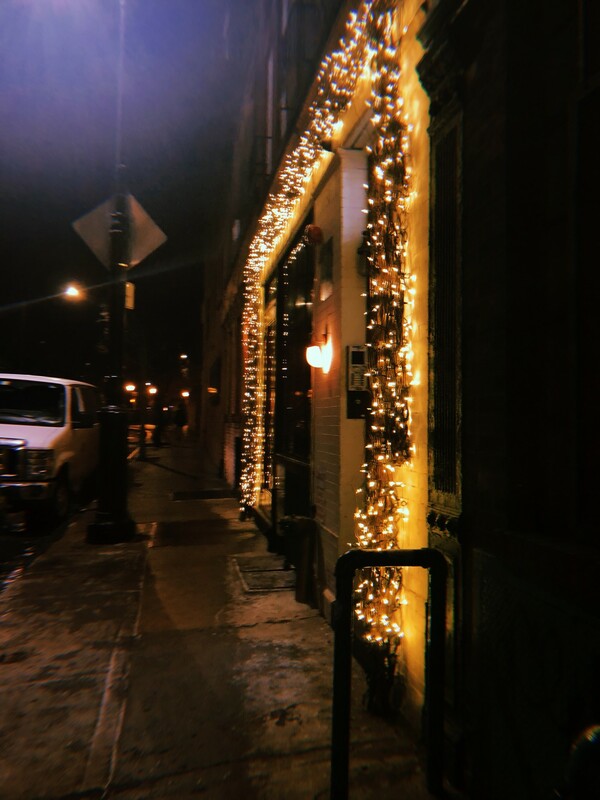 We typically only get to see Colleen twice a year at NY NOW, so it was so nice to spend the evening with her catching up and eating good food. 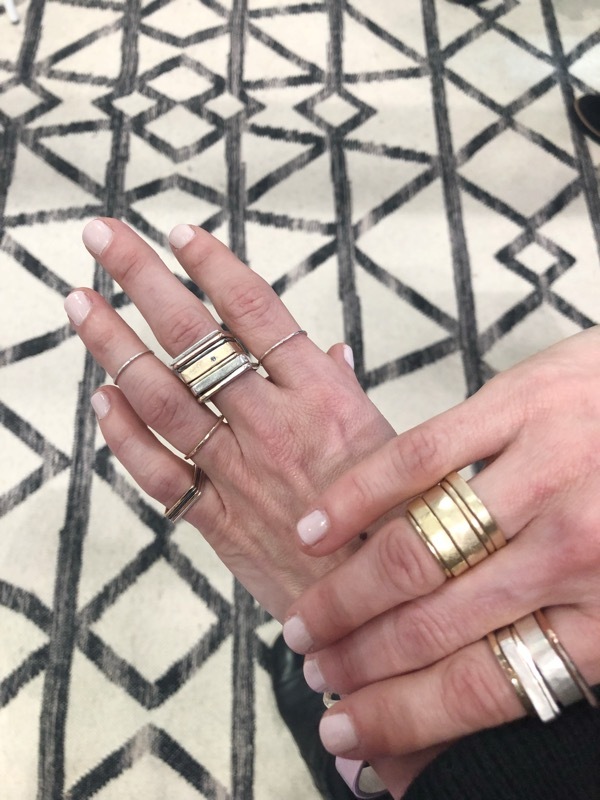 Word on the street is she’s coming to Portsmouth for a CMD jewelry trunk show this summer. Excited to show her around our adorable little town, and for all of you to meet her! This day was the busiest day by far! We got to the Javits early, walked the rest of the show, and found so many new goodies! 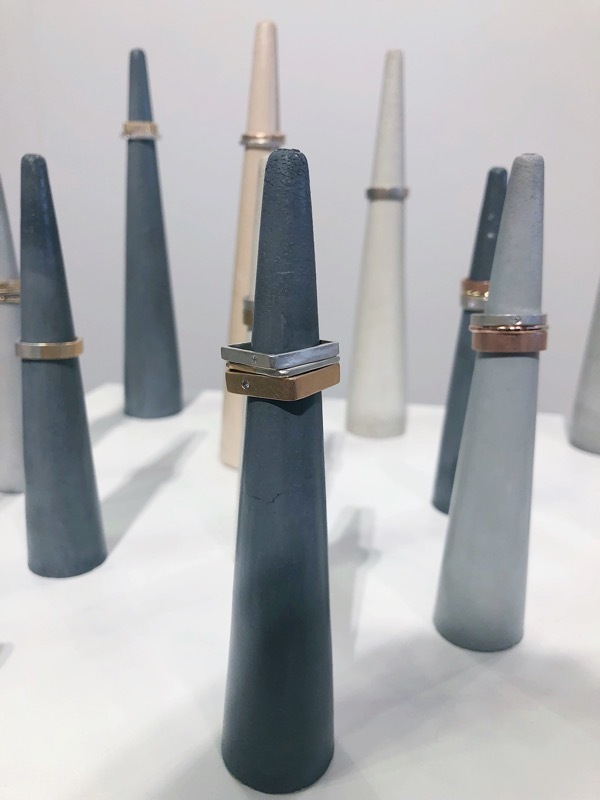 We of course had to stop by and check out all the new, gorgeous pieces of jewelry that Colleen designed this year! 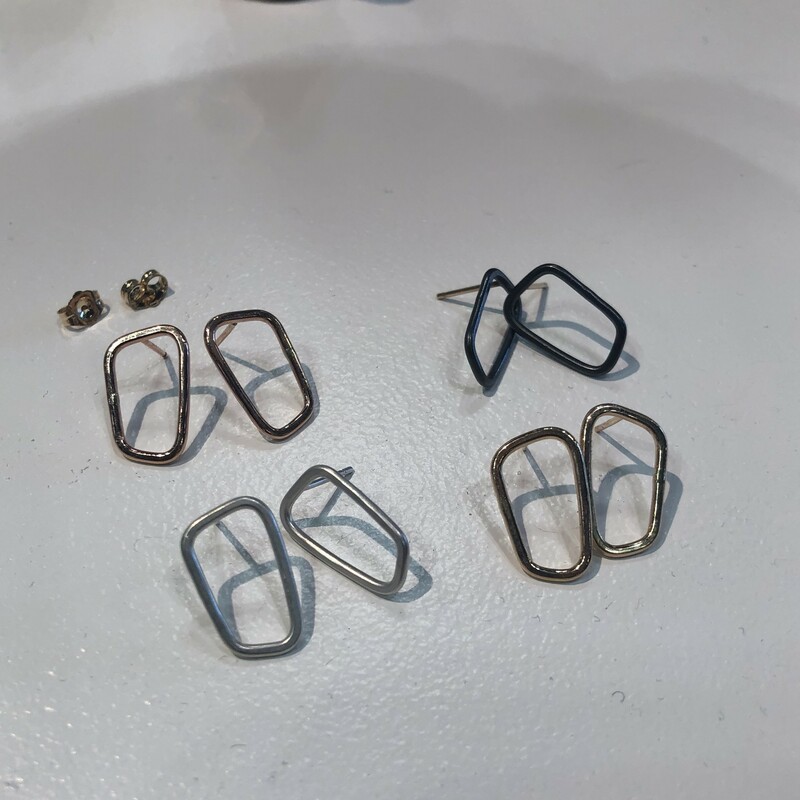 Rose Gold, Yellow Gold, and Silver Studs coming soon! 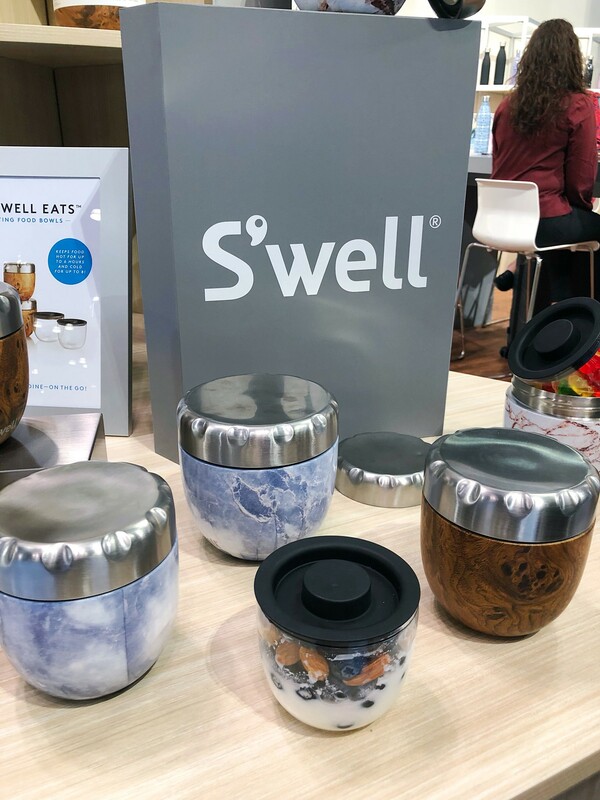 S’well Bottle has one of our favorite booths. It’s so exciting seeing all the new patterns, colors, styles, shapes, etc. 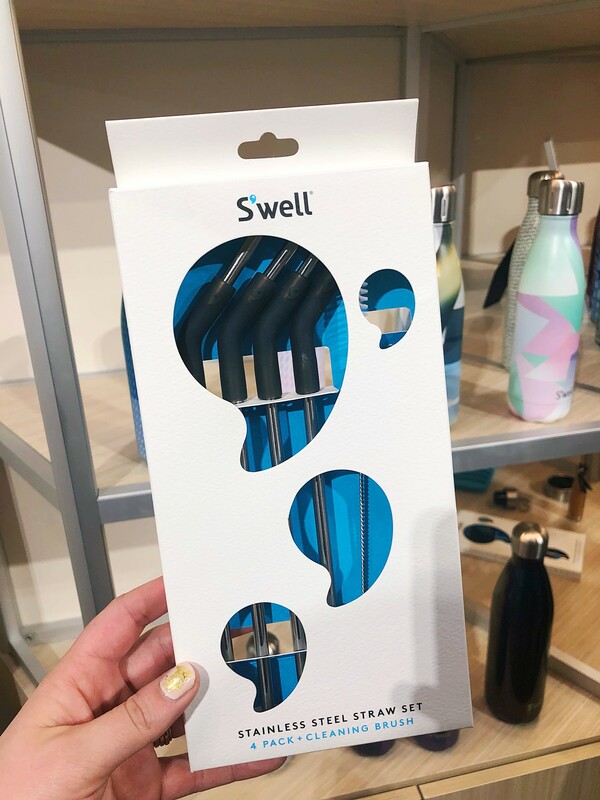 This year they had new bottle accessories and a completely new product coming in August. 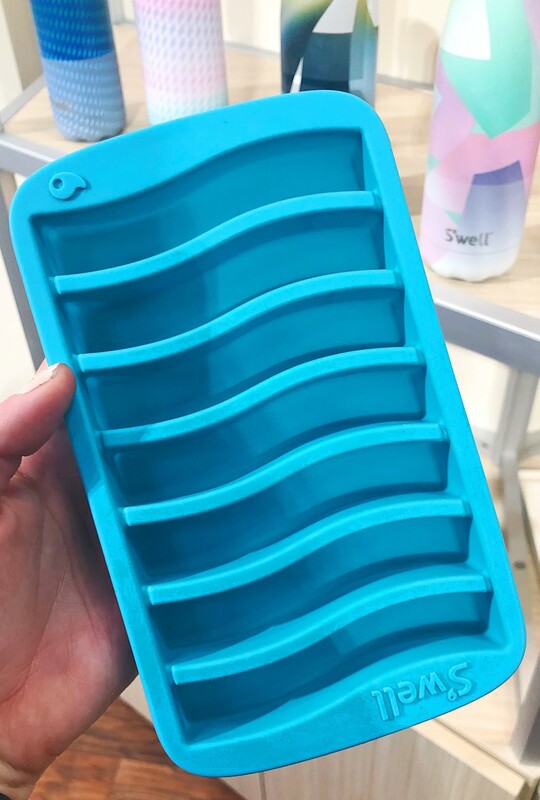 Ice Cube Trays for ice that actually fits in the neck of S’well Bottles! Next we stopped by and saw the lovely ladies who make our linen towels, face cloths, robes, pjs, aprons, dresses, cosmetic bags, etc. 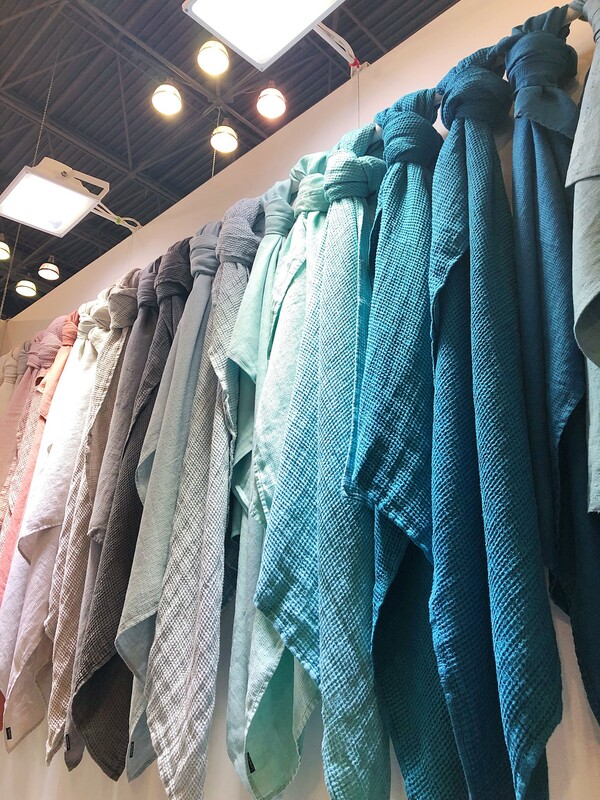 We were so excited to see new clothing styles, colors, and patterns for spring! New short sleeve pjs, throws, scarves, wraps, and cosmetic bags coming to janegee in March! The spring color pallet was gorgeous! 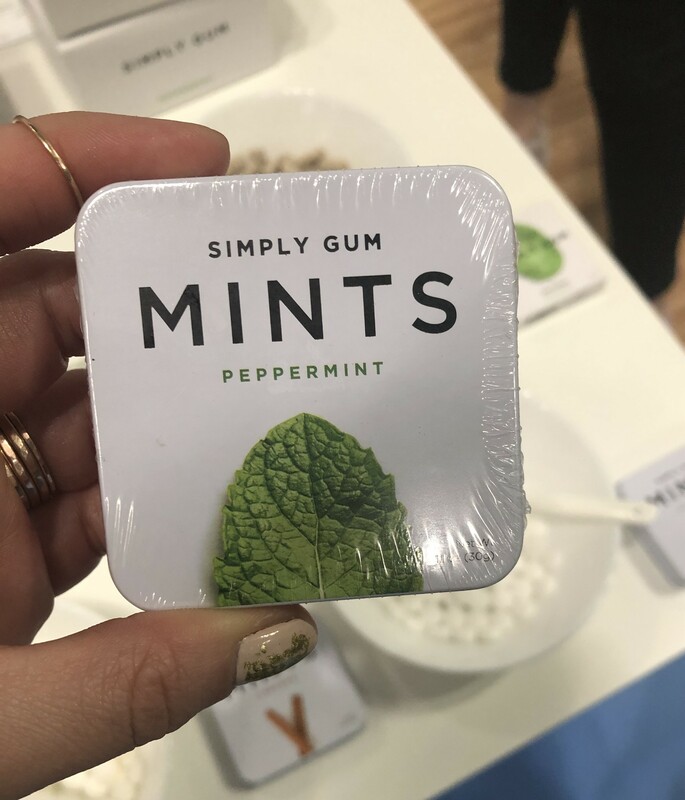 Simply Gum makes gum and breath mints using real ingredients, delicious flavors, and beautiful packaging. 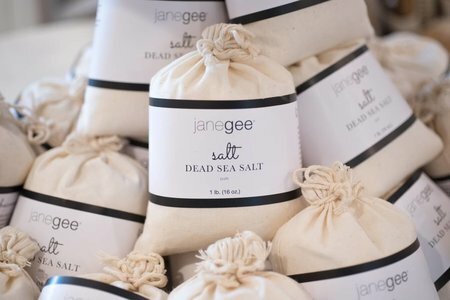 Handcrafted in NY, their products have no artificial flavors, no preservatives, and no synthetics, making them perfect for janegee! Modern Sprout was founded by two regular thumb-colored people inside our Chicago home. 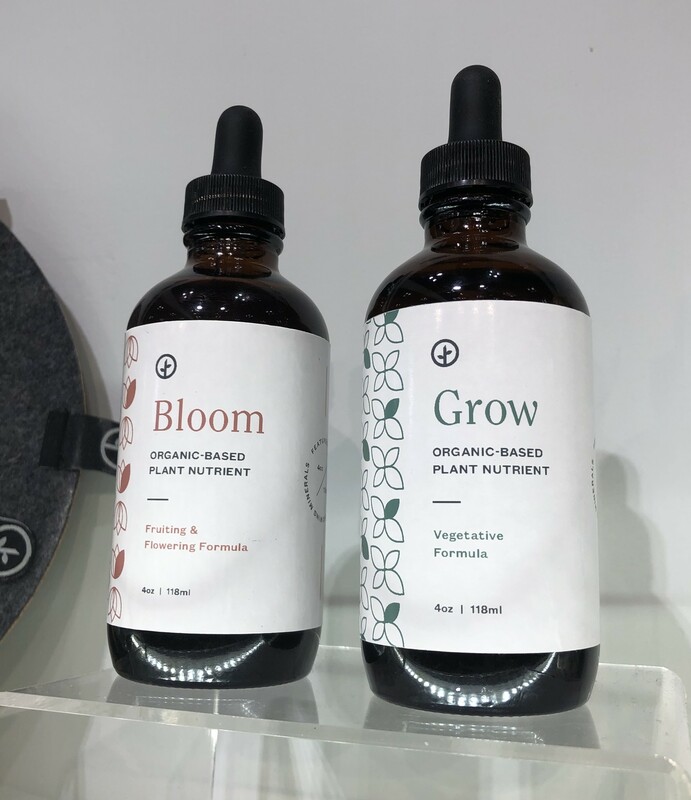 They create thoughtfully crafted products to simplify plants and indoor gardening. Their mission is simple: uncomplicated indoor gardening. By using the logic of hydroponics redesigned into beautiful, space-savvy products, they help you overcome modern gardening challenges. 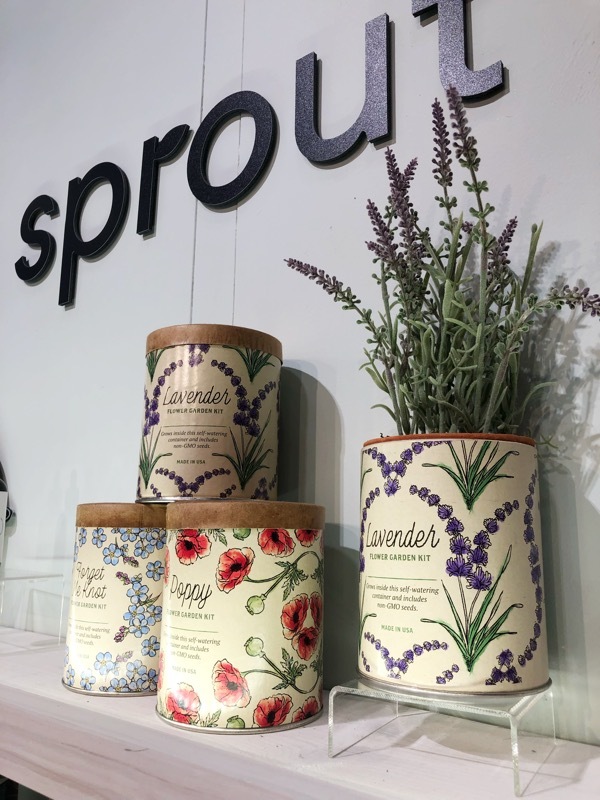 Modern Sprout products are thoughtfully crafted to bring you the holistic qualities of plants, frustration-free. Their products are so beautiful and easy to use, we had to restock with some new items! 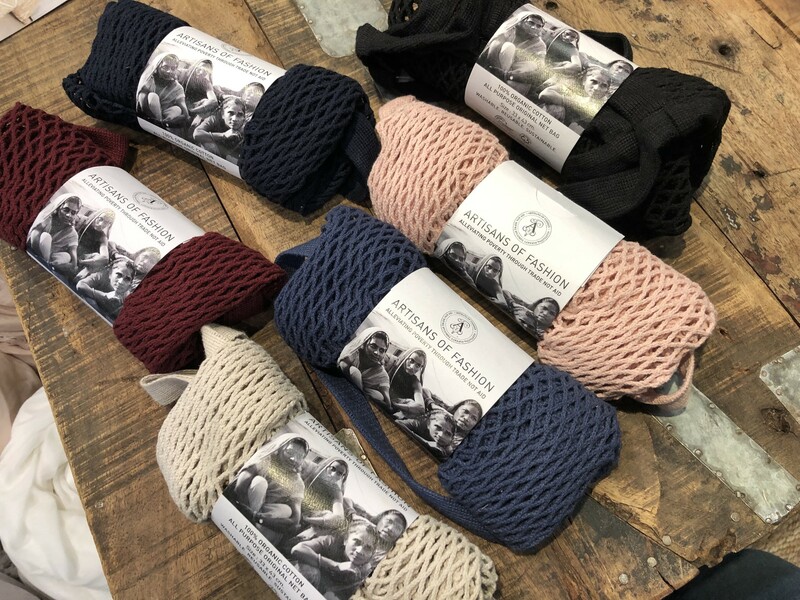 Stocked up on our favorite organic cotton string bags from Cloth & Co. All profits from these string bags are part of an Artisans of Fashion project to help support women’s empowerment and environmental sustainability projects in rural India. Alleviating poverty through trade not aid. 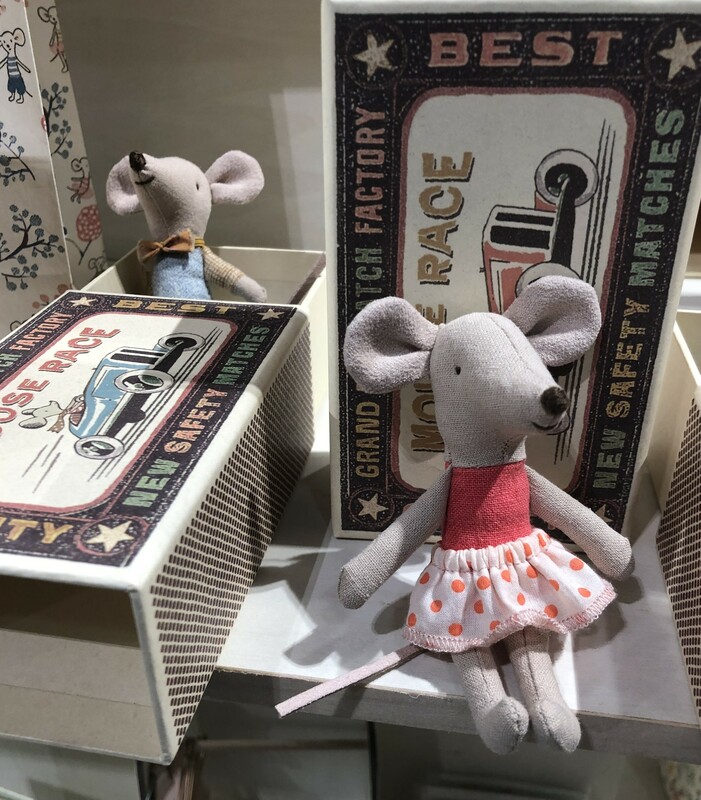 Next we stopped by Maileg’s booth and checked out all the new mice coming this spring. 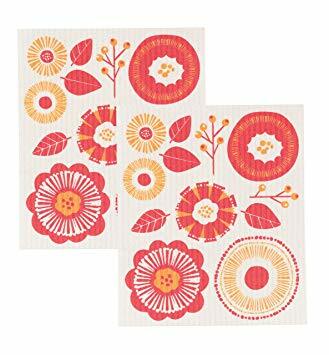 We had to stock up on everyone’s favorite Swedish dishcloths. 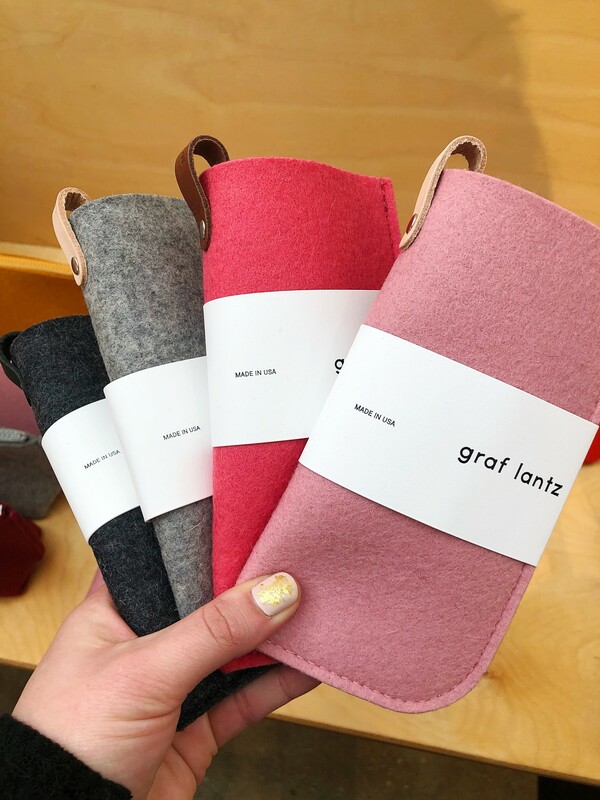 Made from cotton and cellulose fibers, these 100% compostable kitchen haves are a sustainable alternative to paper towels and sponges. You'll never want to go back to sponges or regular cloths when you see how it works. 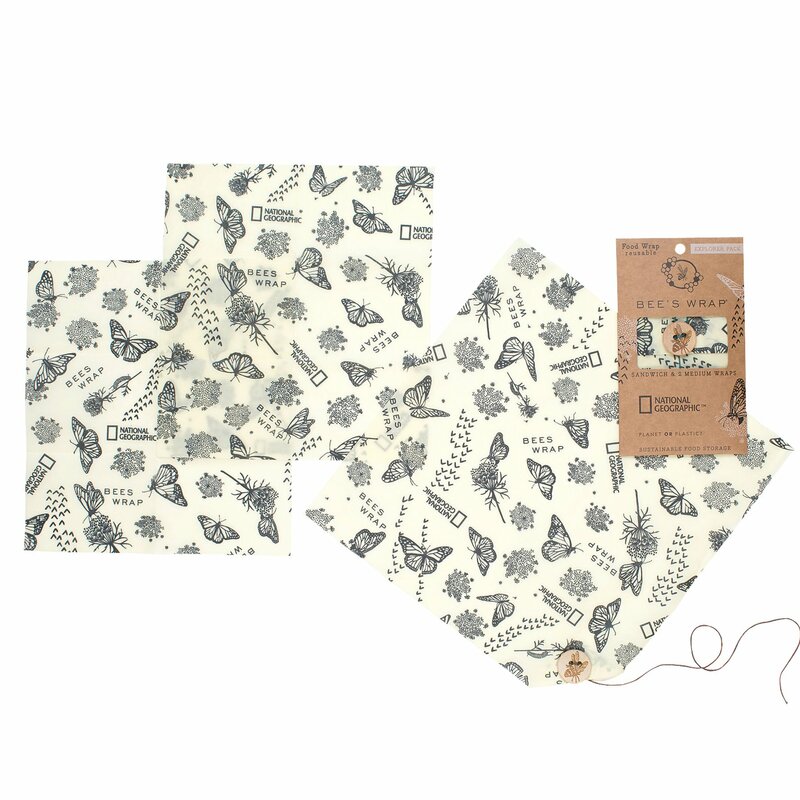 We brought Bee’s Wrap into the store last summer and cannot believe how popular it has been! 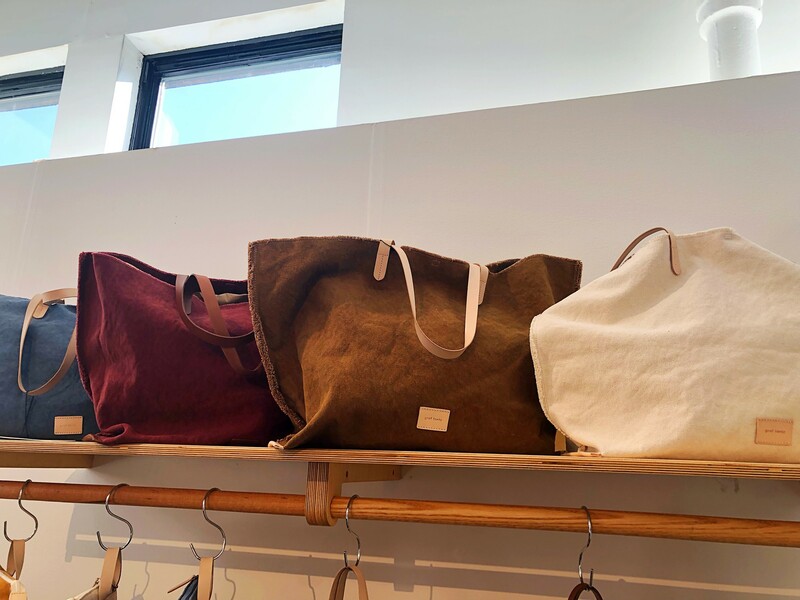 We stopped by their booth and checked out their new collections. We found two we could not resist! 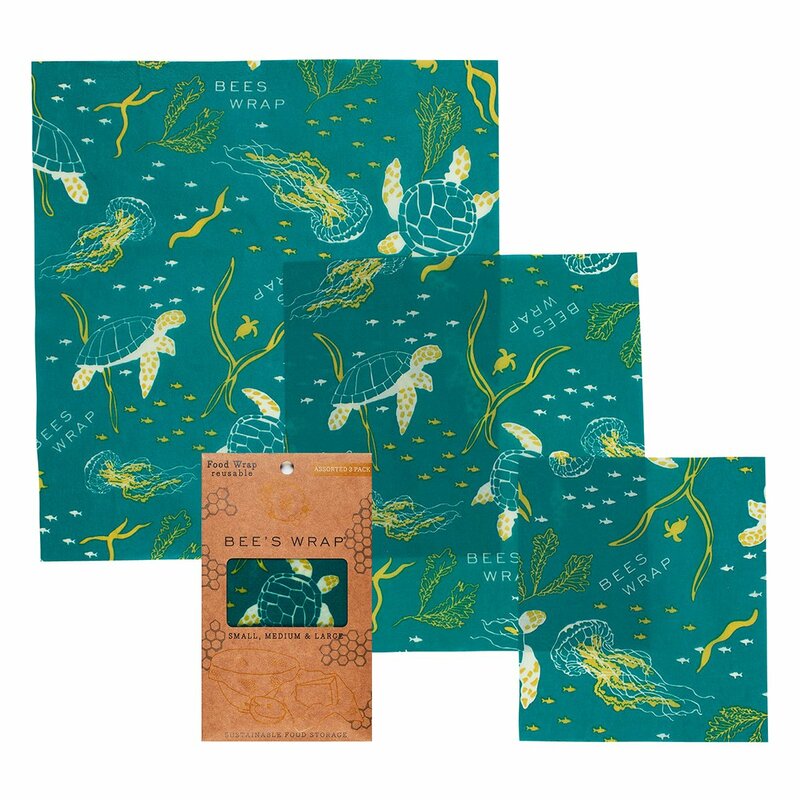 Bee’s Wrap partners with National Geographic on their new Explorer Pack as part of their “Planet or Plastic?” campaign. This multi-year, global initiative is designed to raise awareness of the global plastic pollution crisis. 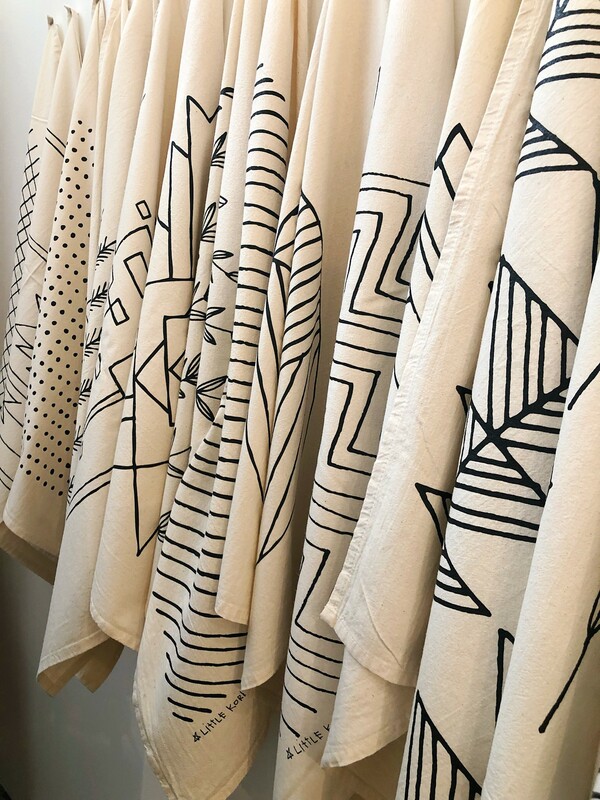 They also partnered with 1% for the Planet to donate a percentage of sales from this new Ocean print to organizations supporting ocean conservancy, beach cleanups, and water stewardship. Despite the show being so large this year, we were able to get through all of NY NOW and Shoppe Object in only a couple of days! This allowed up to spend some time exploring New York, and poking around and checking out all the adorable boutiques. We were also fortunate that the weather was insanely beautiful on this day, so we were able to comfortably walk around and take in all the sunshine. 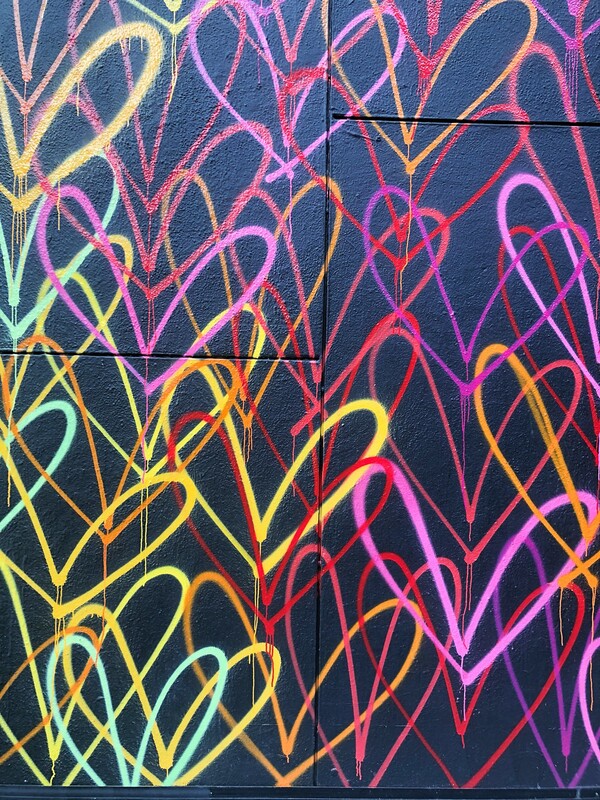 We headed down to the Soho/Nolita area and began the day! 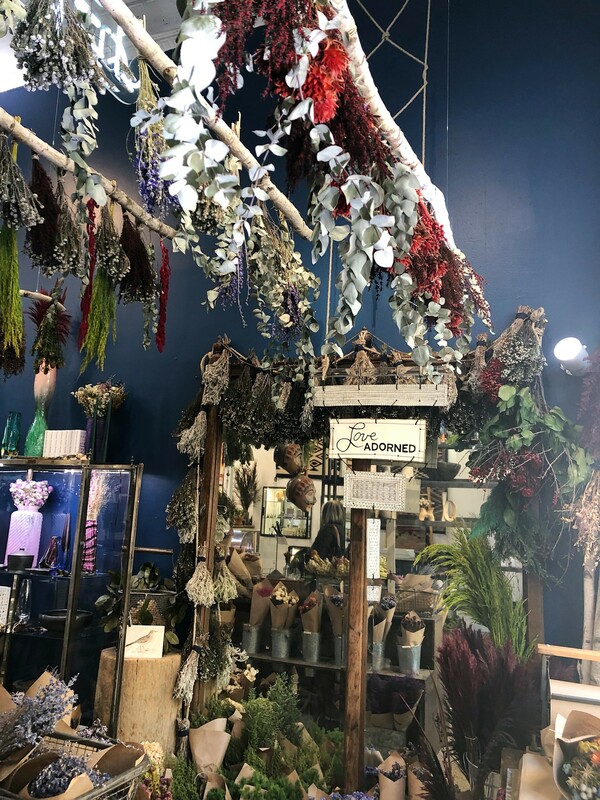 We stopped by this beautiful shop multiple times during our trip. The beautiful displays and unique jewelry kept bringing us back! 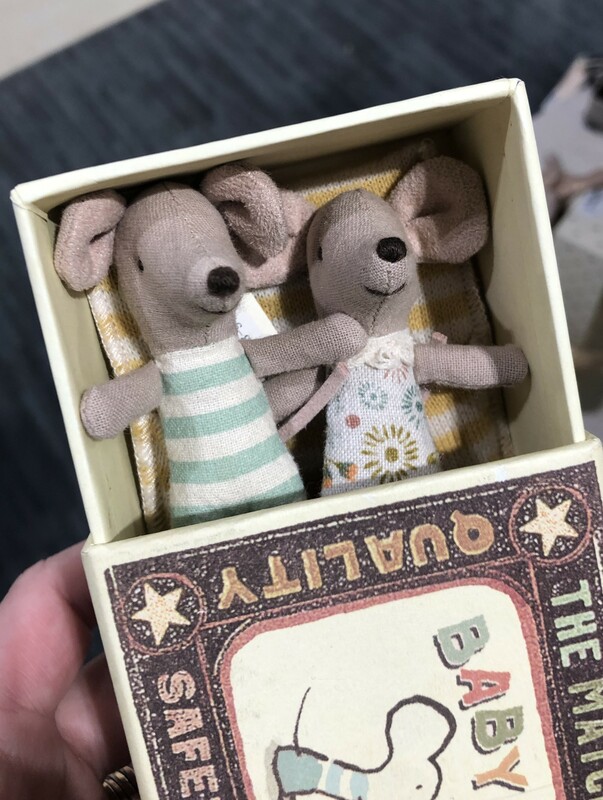 We are so happy we found this beautiful box of cards on our travels. 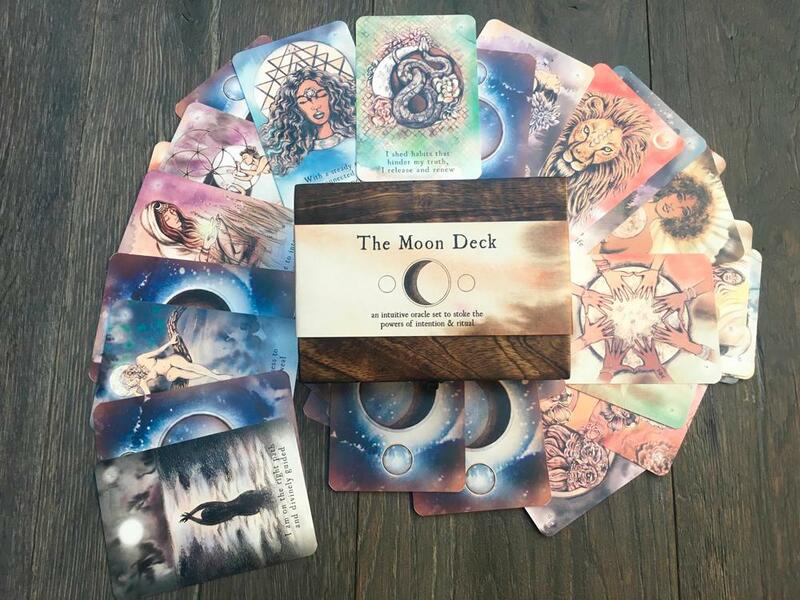 The Moon Deck is an interactive tool for connecting to your intuition and emotional health through the path of self-love and ritual. 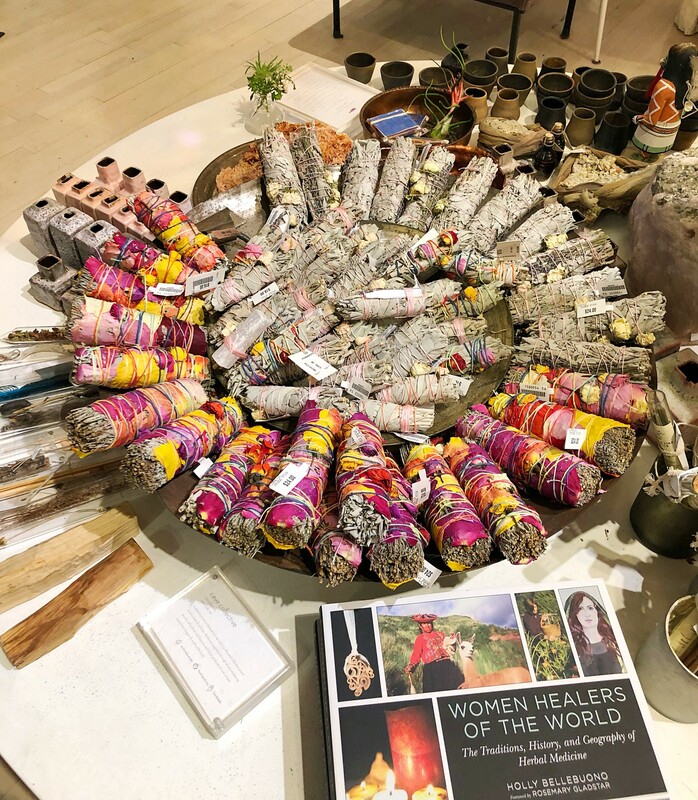 Created to foster community and healing, this entire set is inspired by the cyclical beauty of the moon and the inherent wisdom of women. It shares insights on growth, purpose, transformation, practice, and creativity - with freedom for personal exploration. 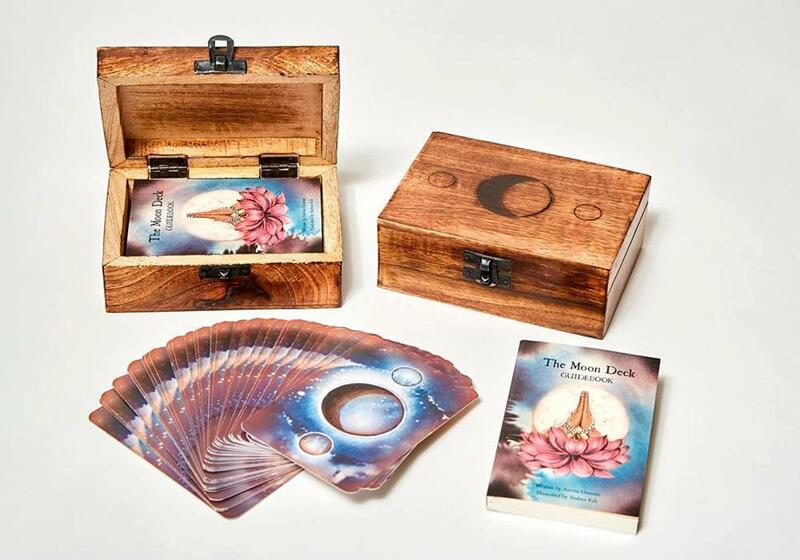 The Moon Deck can be worked as an oracle guide, as a daily tool for reflection and meditation, or in tarot-inspired spreads. Each deck is complete with 44 cards + guidebook, and is infused with love and prayers. The ABC store is one of our favorite places to poke around. It is so easy to get lost in there amongst all the beautiful linens, furniture, and products. They even have three restaurants within the space! 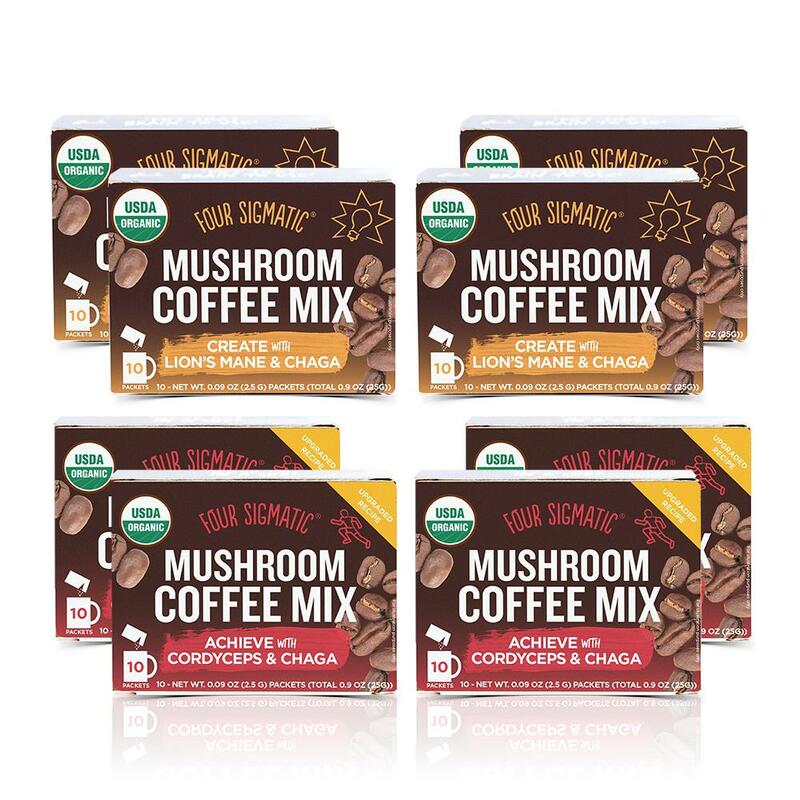 We’ve known about Four Sigmatic for a while, but after hearing and seeing people all around the city with the Mushroom Coffee, we felt like it was time to explore the brand further! We are hoping to have their products in store soon. 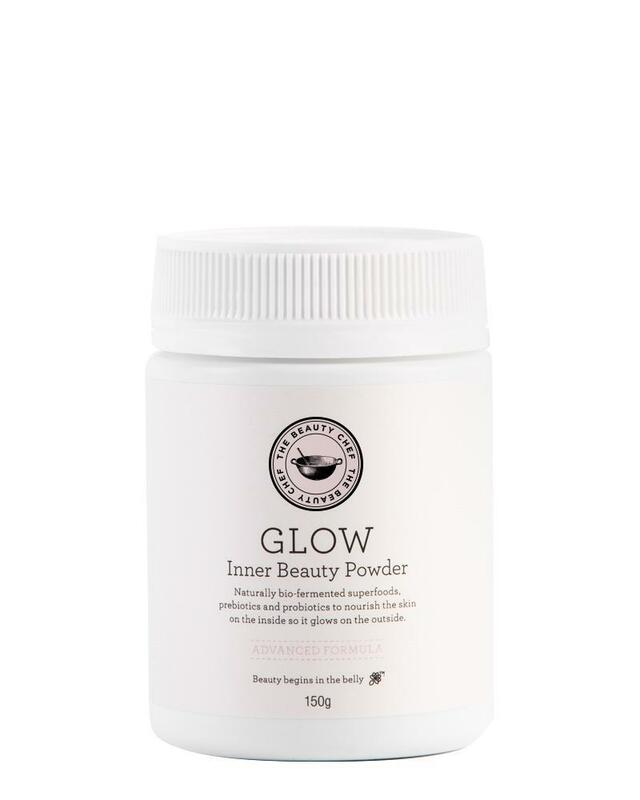 The Beauty Chef is an Australian brand (go figure!) 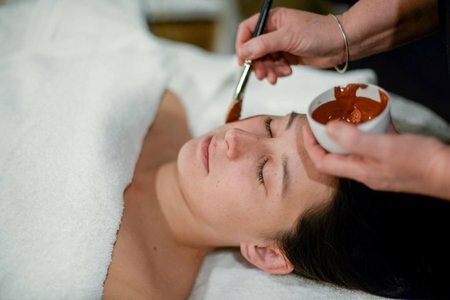 that focuses on the link between a balanced microbiome (good gut health) and beautiful skin. 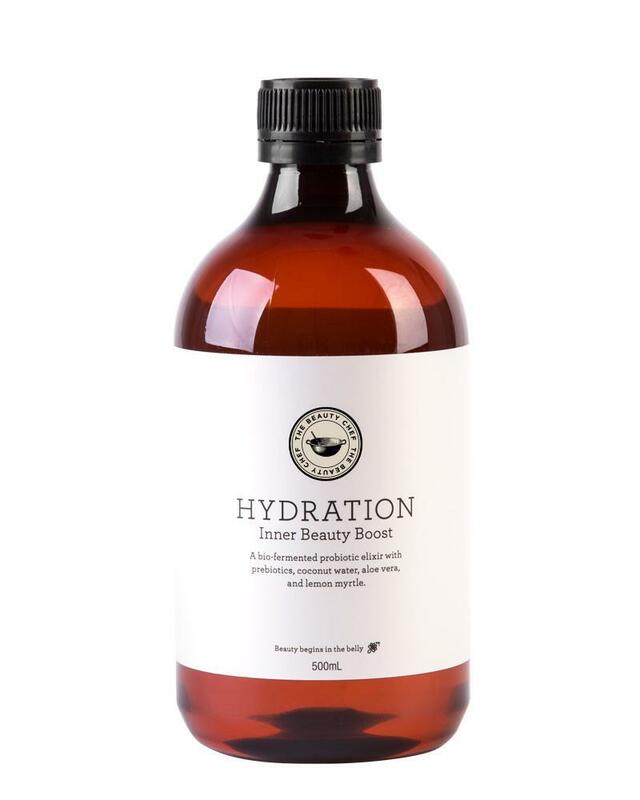 The range includes eight inner beauty products and two outer beauty skincare products. 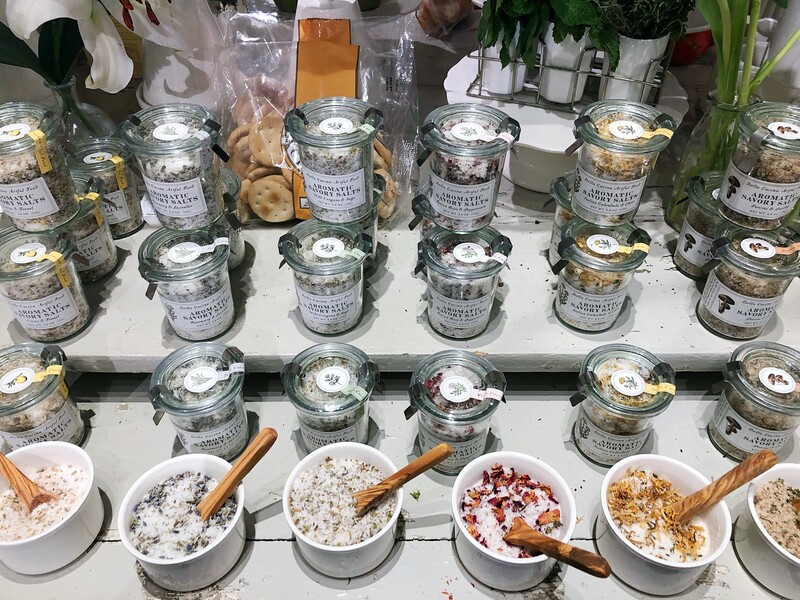 Every product in the range is a blend of Certified Organic, nutrient-dense whole food ingredients, prebiotics, and probiotics, all scientifically-formulated to fortify skin on the inside and outside. Before heading home, we had to stop by our all time favorite breakfast/ brunch place, Jack’s Wife Freda. 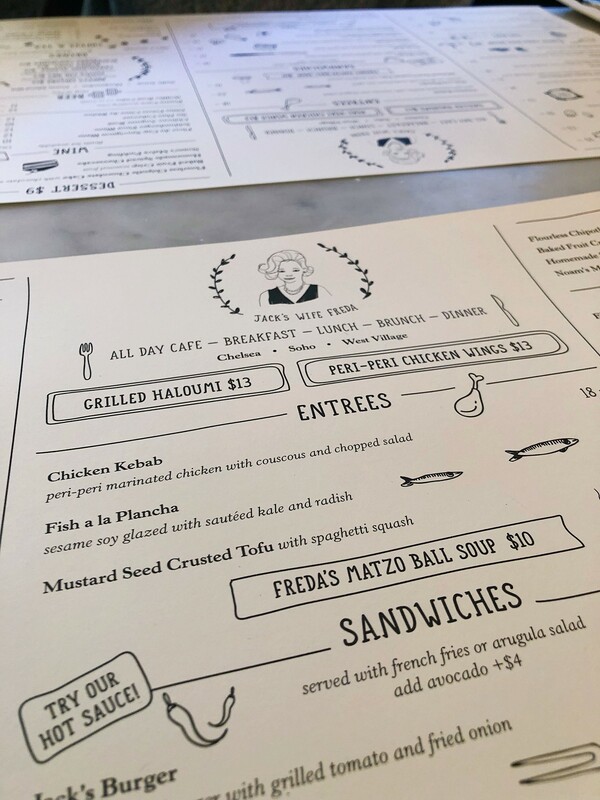 Jack’s Wife Freda is a trendy spot for brunch with a mediterranean twist. 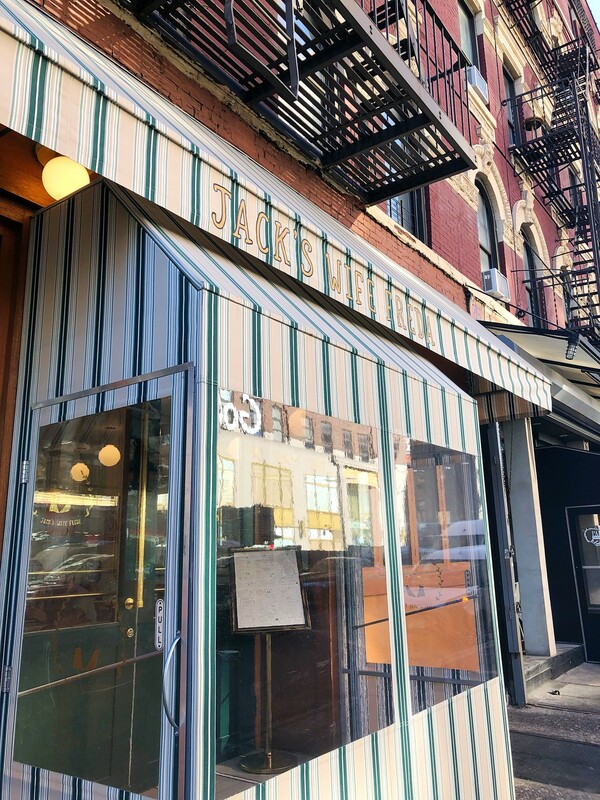 They opened their Soho location in 2012, their West Village spot shortly after, and recently opened a place in Chelsea, which was conveniently located near our hotel! 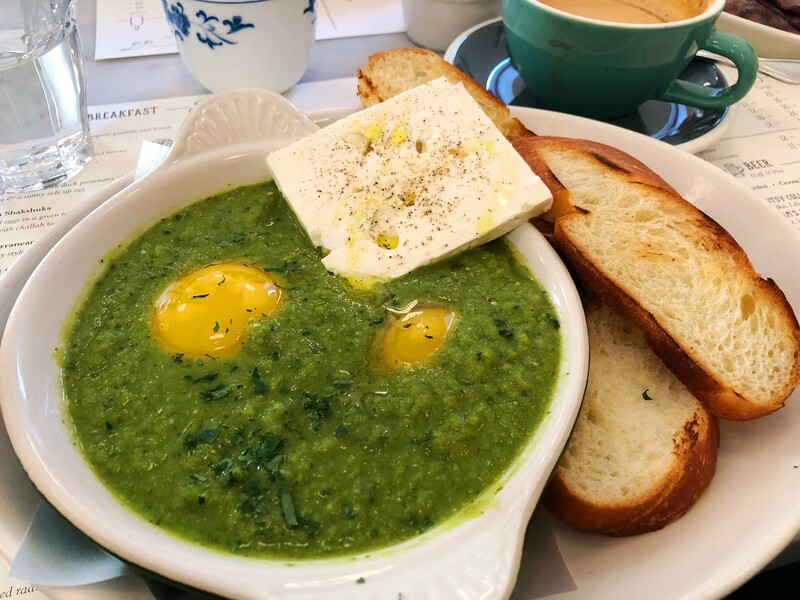 Known for this like Green Shakshuka (featured below), Rose Water Waffles, Cantaloupe Mimosas, and Nana Tea. 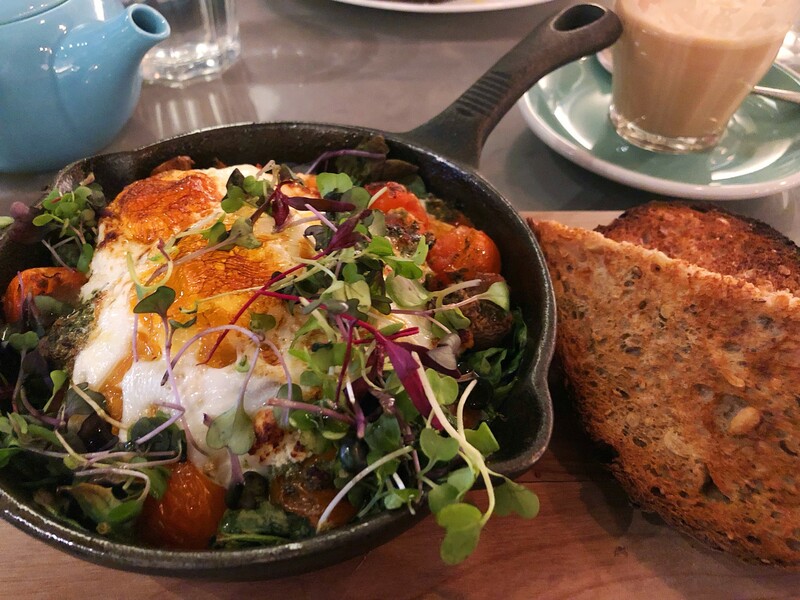 You will not be disappointed with Brunch at Jack’s Wife Freda! We had so much fun last week in NYC. Meeting with friends, chatting to enthusiastic vendors, eating at fabulous places, as one does in the city! As much as we love New York, it really is exhausting! 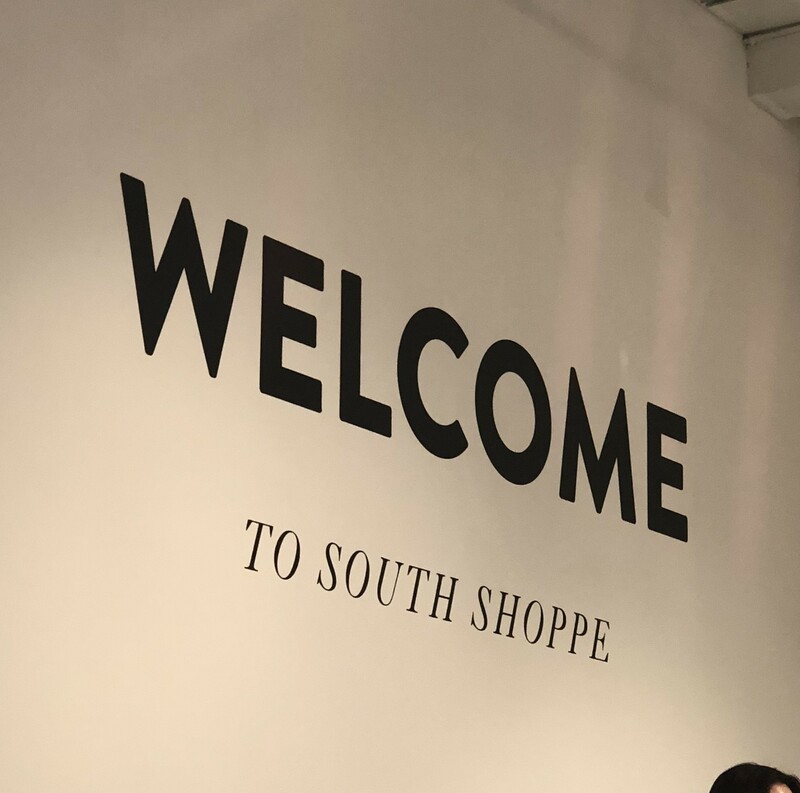 We are happy to be home and so excited to show you all the new goodies we found! Aw thank you Sharon! We can't wait to show you all the new goodies! So excited to see some of your new picks. I am never disappointed when I visit janegee!! Always a fun adventure that I passed on to my girls! !